LONG before the small-block cHEV arrived in Australia in big numbers, the dominant GM motor in the Aussie street, drag and speedway scenes was Holden's sideplate six. A massive go-fast industry sprang up around it, providing all sots of goodies to make the General's venerable six go harder, Queenslander Barry Goong built the Ouickest example ever. BARRY was one of the founding fathers of the Queensport Drag Racing Club, a group of Brisbane boys who built tons of fast cars during the late 60s and 70s and even ran unofficial meetings at what was known as Fort Lytton Dragway, complete with Christmas tree and ice-cream van! 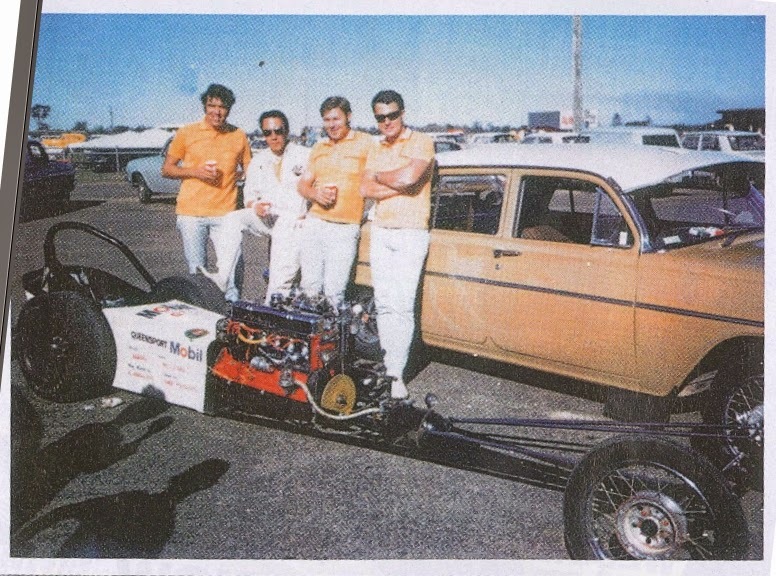 Barry's first competition car was a slingshot dragster powered by a Holden grey and known as The Chizler. This was in '69 and the newer red motor was starting to erode the grey's popularity but there was a lot of good speed gear around for the old sideplate, so Barry stuck with it. "We built the dragster ourselves, it used an FE gearbox and cut-down FE diff:" he says. 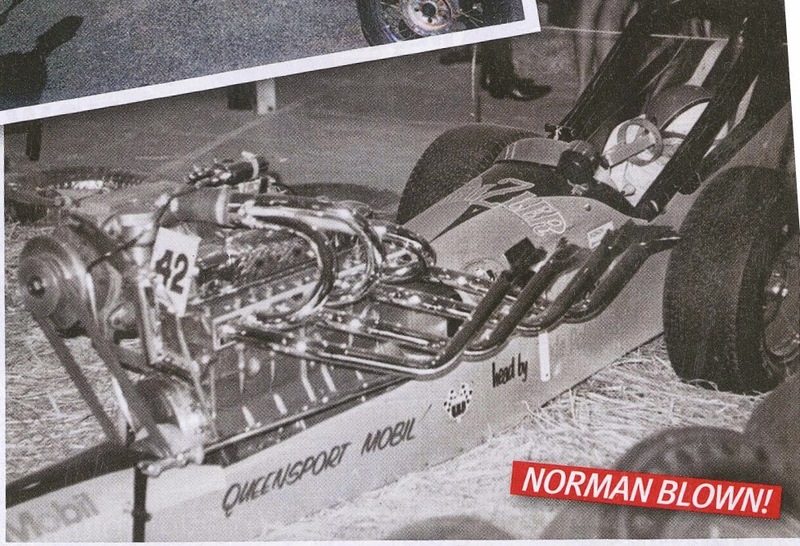 "Early on, I bought a Norman supercharger from Cliff Kiss. It came with a little intercooler and we got some pipes made up so it looked really flash. We went 12.59 with the blower on it but never got the hang of it. I also tried an injection set-up but it really came together with just a set of triple SUs." It came together so well that Barry not only won his class at the 1970 Nationals but claimed the D/Dragster record with an 11.49 — still thought to be the quickest grey-powered run ever. "It was just a good engine. We ran it for three or four years without a problem and after that it went to a bloke who put it in a midget speedcar and he won a few titles too! It was a good combination; 151 ci, little lumpy pistons, an Ivan Tighe cam and the head worked over by Trade Polishers," Barry says. "The only drama we ever had with it was camshaft gears!' 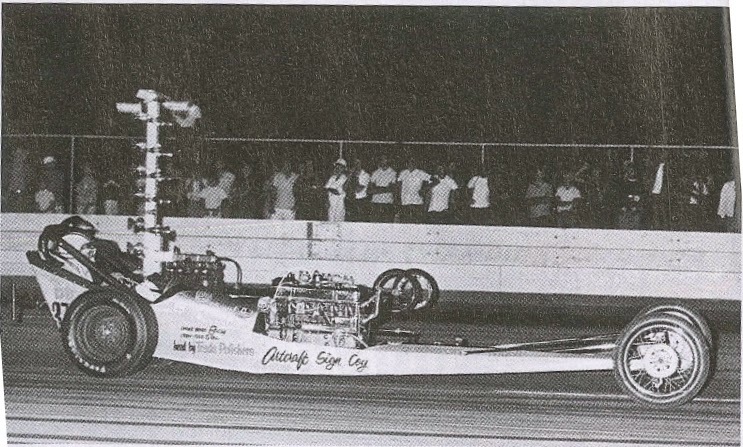 After The Chizler, Barry was involved with building a V8-powered bike for fellow Queensport member Wally Pushke and also teamed up with Cliff Kiss to race an A/Dragster powered by a blown Chrysler V8. "The irony is, the A/Dragster never went quicker than the old grey!" Barry says. Barry had a Altered powered by the same sideplate before the Chizler, was call "Piston Packer"